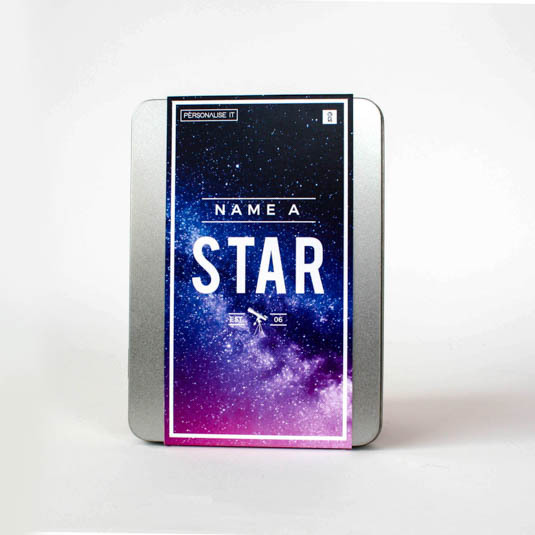 This Name A Star gift box set is the perfect gift no one would ever forget. 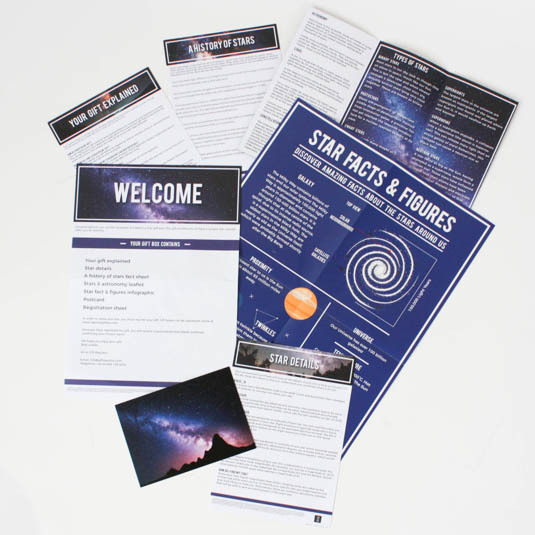 Why give someone the moon when they can have a star? 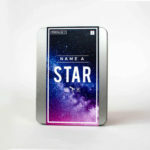 This touching gift gives you the opportunity to name a real star and to find out all about stars and astronomy. 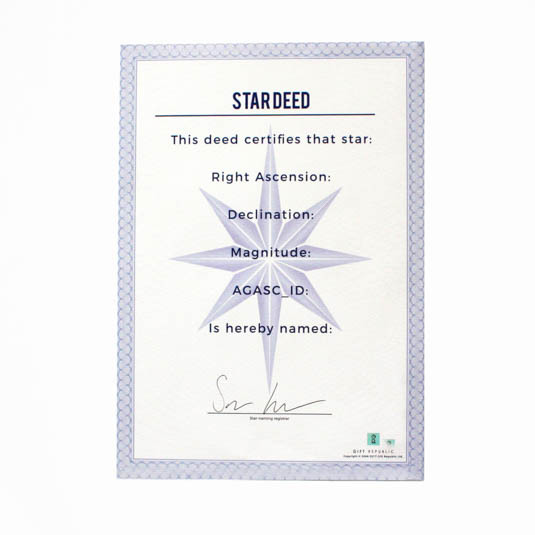 Simply fill in the form contained in this box or online and a displaying certificate will be dispatched to you within 28 days.